Palestinians: ""The face of a new form of racist, discriminatory Israel has been revealed"
Israeli Prime Minister Benjamin Netanyahu’s new right-wing religious “government of war” is a blow to an already stagnating peace process, PLO officials said Thursday, vowing to fight it on the international stage. The PLO blasted Israel’s “extremist” cabinet, after Netanyahu announced a coalition government that gave him a slim parliamentary majority and included ministers who oppose the internationally-sanctioned two-state solution. “This is a colonial settler cabinet, no doubt about that,” senior official Nabil Shaath told journalists in the West Bank city of Ramallah, seat of the PLO-dominated Palestinian Authority. “It’s a cabinet that includes all of those people who want to maintain” Israeli occupation. According to AFP, Netanyahu’s new government, which he formed at the 11th hour, several weeks after winning his third straight term in office, includes ministers intent on expanding Jewish settlements in the occupied West Bank and East Jerusalem, an issue that has derailed round upon round of US-brokered peace talks. As Netanyahu formed his government, Israel approved the construction of 900 new settler homes in a controversial East Jerusalem neighborhood. President Mahmoud Abbas said before the March 17 election that he was willing to enter talks with whoever was reelected. But, Palestinian officials bristled at the cabinet line-up that emerged on Wednesday night. “The face of a new form of racist, discriminatory Israel has been revealed,” chief negotiator Saeb Erekat said in a statement. “Netanyahu is vehemently leading the charge to bury the two-state solution,” he said, singling out Justice Minister Ayelet Shaked and Education Minister Naftali Bennett, both from the far-right Jewish Home party. “The presence of the extremist Shaked, of the ultra-Orthodox and of settlers in the government is proof that it’s a government of war, and against peace and stability,” Erakat said. Bennett, who heads Jewish Home, openly opposes a Palestinian state and advocates annexing 60 percent of the West Bank. Shaked last year likened Palestinians to “snakes” in a post later removed from her Facebook page but widely reported on by the Israeli media, and said all Palestinians, including mothers of attackers, should be eliminated. Officials in the West Bank were careful, however, not to slam the door shut on any possible talks, but vowed to keep up pressure on Israel in the international arena. “We are willing to negotiate with anybody the Israelis (electorate) chose,” Shaath said. The Palestinians demand that any peace deal include Israel’s withdrawal from occupied Palestinian territory, recognition of East Jerusalem as the Palestinian capital, and the right of return for Palestinian refugees who fled Israel after the Jewish state’s creation in 1948. Israel considers the whole of Jerusalem its eternal, indivisible capital. Netanyahu vowed during his election campaign to step up settlement building in East Jerusalem, which Israel captured in 1967 and later annexed in a move never recognized by the international community. The Peace Now settlement watchdog announced Thursday, shortly after the coalition cabinet was unveiled, that 900 new settler homes would go up in East Jerusalem. 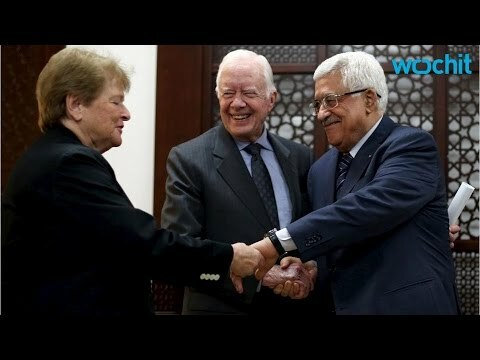 With a peace deal further away than ever, the Palestinians vowed to fight Israel through the International Criminal Court and the UN. “We call on the international community… to support our efforts in the ICC,” Erekat said. The Palestinians joined the ICC in April and intend to sue Israeli officials over alleged war crimes, notably in Gaza, where 2,200 Palestinians died in the July-August conflict, mostly civilians.